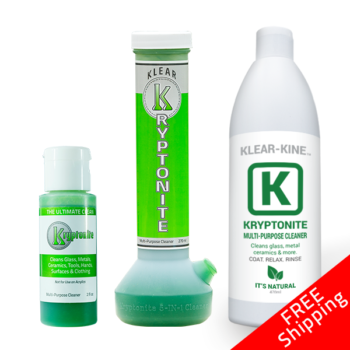 The entire line of Klear Kryptonite cannabis accessory cleaning products are a top choice for cannabis connoisseurs nationwide. 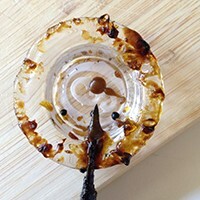 Voted as one of the best glass and bong cleaners available, our scientifically engineered clay-based cleaning formulas will make your glass pipes, bongs, oil and dab rigs, extraction tubes and other hard glass or metal surfaces look brand new. Our premium line of products even works in cannabis grow rooms, cleaning all your tools, grow trays and extraction equipment. Stop wasting time and money cleaning your cannabis accessories with other cleaners. Choose the Klear choice. Choose Kryptonite. Kryptonite will leave your glass, hands, sink, grinders, tools or extraction tubes looking and smelling like they’ve never been used. Kryptonite is now available at your local smoke shop, on Amazon and through authorized online retailers. The same great formula that our customers trust and love, but with no added colors and no added fragrances. 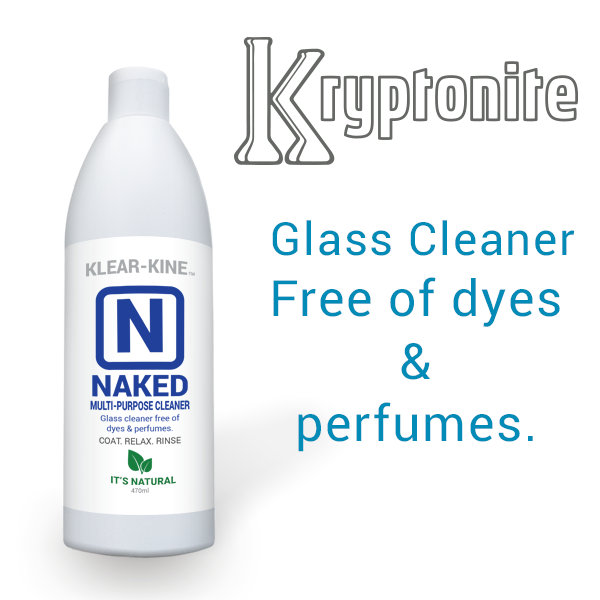 Our new Kryptonite Naked Formula comes in a 470ml bottle with a re-engineered pop-top for easy application every time. With no added colors or fragrances, our Naked cleaner is the true essence of what a premium cannabis accessory cleaner should be. 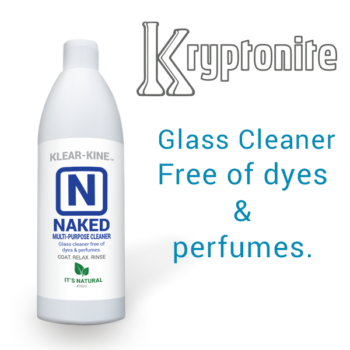 Similar to our other products, Kryptonite Naked Glass and Bong Cleaner has the lowest volatile organic compound content (<3% VOC) compared to other homemade and commercially available cleaners on the market today, which are usually 100% VOC. Specifically engineered for professional cannabis growers and extractors, our new Kryptonite Cannabis Extractor Formula is the only cleaning product you’ll ever need! Our new Cannabis Extractor Cleaner Formula comes in a 470ml bottle with a newly engineered pop-top for easy application. This new product is our strongest formulation to date and was specifically engineered to remove cannabis plant matter, concentrates, waxes and resins with ease. It can be diluted to meet all of your growing and extraction needs. 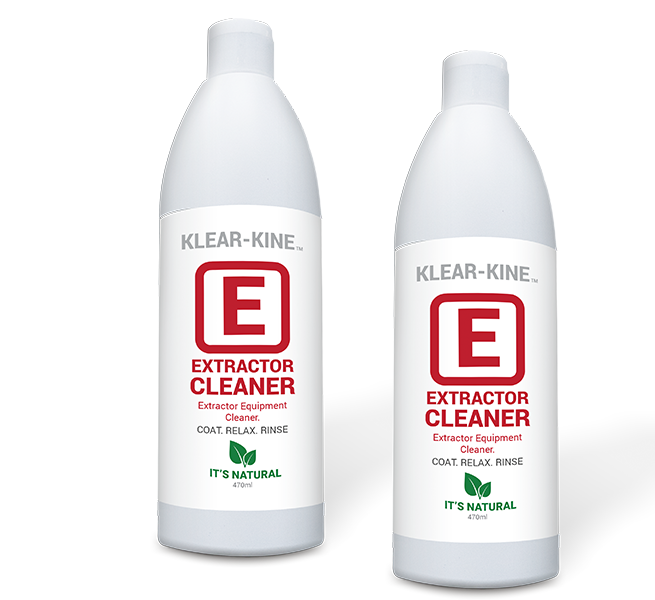 Similar to our other formulas, our new Kryptonite Cannabis Extractor Cleaner washes clean with warm water and is truly the most effective cleaner for professional cannabis extractors and growers on the market today. Not sure if your current cleaner is dangerous? Ask them for their MSDS (Material Safety Data Sheet) and find out just how toxic the competition really is. Click an image below to view the guide for cleaning with Kryptonite. Simply coat the inside of your water pipe with Kryptonite and pour any remaining product back into the bottle for next time, or into a plastic bag to clean your stems or small pieces. No need to dilute. 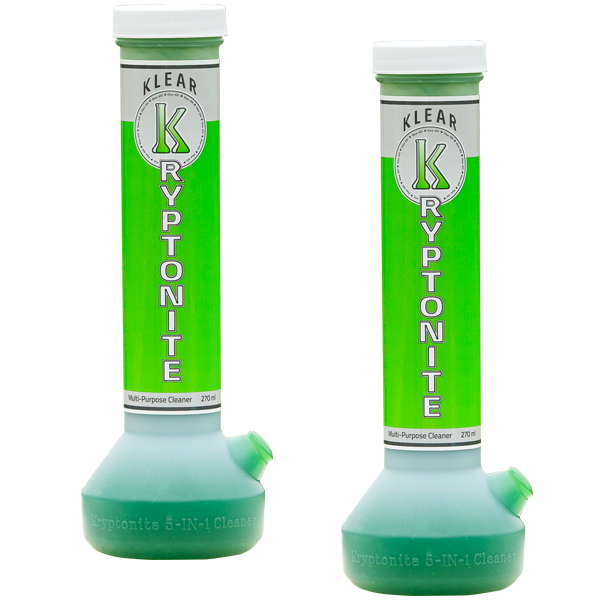 Even if your old school, pick up a bottle of Kryptonite bong cleaner to remove the ash tray bong smell from your kitchen sink and bong. Simply coat the inside of your water pipe with Kryptonite glass and bong cleaner and pour any remaining product back into the bottle for next time, or into a plastic bag to clean your stems or small pieces. No need to dilute. Wait just 20–30 minutes while the scientific formula goes to work dissolving tough, baked-on residue. Other products require vigorous shaking or overnight soaks, but not Kryptonite. Simply wash the mess away with warm water. No microwave or stovetop needed. Voted one of the Nation’s best pipe and bong cleaners! 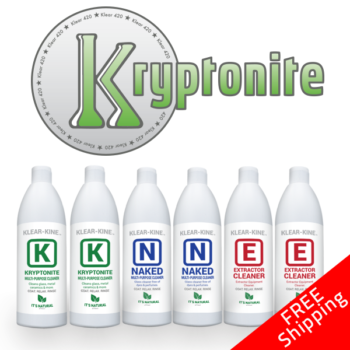 Visit our shop to view all of our Kryptonite cannabis cleaning products.